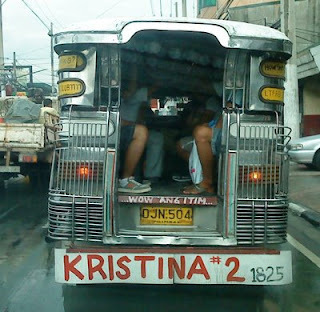 I saw this jeepney one morning and couldn't figure what anything on the jeep's rear meant. It says "Wow ang itim!" (wow it's black) and a name "Katrina #2" with some numbers (1825). @migs grabe yun ! LOLz! @melrose :) scary sounds !